A Certified Professional Midwife such as Betsy only cares for low-risk pregnancies so she has to determine whether a client fits that criterion. She has an objective list of diseases or circumstances that might “risk out” a potential client. And the prospective client has the right to determine if Betsy is a “fit” for her. She encourages all potential clients to meet her for a free consultation visit to see if the client wants to pursue things further. If the client decides to pursue a midwife/client relationship, the initial visit will take up to two hours, as she takes a comprehensive look at the client, and her medical history, and performs a complete physical. She will also perform a blood draw at that time. The follow-up prenatal visits last up to one hour, although if a client needs more time with Betsy, all she has to do is ask. Betsy does mainly home births, although she has access to nearby birth centers. If a client prefers a birth center birth, there will be an additional birth center access fee payable to the birth center. Betsy provides complete prenatal, labor and delivery, and postpartum care. Her clients see her every four weeks until week 30, then every two weeks until week 36, then every week until birth. Betsy will make a home visit to a client’s home around week 36 of the pregnancy so that she can be sure of the location of a client’s house and also check on birth supplies. Betsy gives continuous childbirth education with prenatal visits throughout the prenatal period. She does all the normal blood draws/lab work. Every prenatal visit Betsy will check the client’s weight, blood pressure, pulse, fundal height, urine, and fetal heart tones. Occasionally Betsy will check the client’s temperature and perform other normal lab tests. She focuses on nutrition, herbs, exercise, and a healthy lifestyle so that the client can have the optimal pregnancy and a very healthy baby. Most of the time, Betsy sees her clients at her home in De Leon. She has, however, done some home visits. There will be an extra charge for these situations. 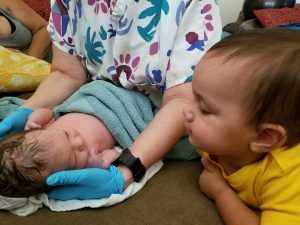 After the birth, Betsy will come to the client’s home at one to two days postpartum to check on the client and the baby and to do the first heel stick — called a newborn screen — on the baby. It tests for 29 very serious metabolic diseases. Then Betsy will see the client again at 2 weeks — to do a second newborn screen — then at six weeks, and if needed, at 12 weeks postpartum. The last checkup will include a PAP smear, should the client need one. Betsy sometimes practices with an apprentice, who will be with her for most of the prenatal appointments so that the client feels very comfortable with both midwife and apprentice when time comes for the client’s labor and birth. If Betsy does not have an apprentice at the time, she will always have an assistant at the birth. Betsy’s apprentices are midwifery students, and the way they learn midwifery skills is through practice. This is the way all midwives have learned their skills. All of this is included in Betsy’s fee. She may have to adjust the fee to cover extra miles if the client is further than 50 miles from her. Betsy requires a non-refundable deposit on the first visit, and the client may work out payments for the balance of the fee. Not included in the fee is an ultrasound. She does sometimes recommend an ultrasound, so her clients need to be prepared in case she considers one is necessary in their pregnancy. Betsy has access to ultrasound technicians that take her clients in Peaster, Cleburne, Cross Plains, and Abilene. The client will also be responsible to purchase some supplies for the birth, which will run approximately $50, depending on the supplies that the client already has at home. If the client chooses to rent Betsy’s birth pool, the charge for that is $100. If the client transfers care to another midwife or doctor before the 36th week, Betsy will give a partial refund if it is due, or she will send the client a statement for any fees still owed. After 36 weeks, even if the client ends up having the baby at a hospital, there will be no refund. The reason for this is that if Betsy takes a client to the hospital, it ends up being more work for her, rather than less. And going to the hospital is always stressful, for the midwife as well as for the client. The client will need to check with her insurance and verify what will be covered for a home birth. Betsy requires her fee to be paid up front. After the birth of the baby, Betsy will give the client an itemized statement so that insurance may be filed. 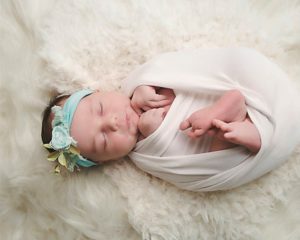 Some insurance companies are realizing the wisdom of covering home birth, as it is a safe and economical alternative for the majority of people. Usually, midwife clients do not have a backup physician. Mostly this is because the physicians are unwilling to take the “liability” risk because of clauses in their malpractice insurance. Betsy does not have medical backup. If during the course of the pregnancy, Betsy feel that the client needs to see a physician, she will discuss this with the client, and then the client will make an appointment with the doctor of choice. In pregnancy this is most often for things such as bladder/kidney infections, etc. If the client doesn’t know which doctor to use, Betsy will help refer the client to one. If, during labor, Betsy feels that the client needs to go to the hospital for any reason, she will make a call to the closest hospital to alert the Labor & Delivery nurses that they are headed that way, and to let them know what the situation is. Usually Betsy goes with the client and her husband to the hospital by car. If an ambulance is necessary, then she calls the ambulance and follows it to the hospital. At all times, if possible, Betsy will stay with the client until the baby is born. If a potential client would like to speak with some of Betsy’s former clients, she has many references that would be more than happy to share their experience with you. Most of the clients that Betsy serves stay in touch with her. The relationship that forms between a midwife and her clients is much more than professional! She’s very happily married to her husband of more than three decades — Jackie. He is her best friend. She enjoys music, and loves to play the piano, whether it’s at church, at home, or anywhere else. She’s been playing the piano since she was eight years old. She thanks Mom and Dad for the lessons! 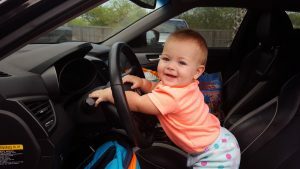 Her parents and grandparents are Texans, but she’s a transplant, having been born and grown up in Mexico. This means that she’s completely bilingual with Spanish and English, and loves using both languages to serve her community. She learned Spanish the easy way, as a young child, and she loves to tell people that she didn’t know that English was her first language until she was 12 years old!